Our first summer symposium, organized by Barbara Kline, is scheduled on Tuesday, June 9th from 6-8pm at the Sunnyvale School Admin Building where our normal meetings are held. 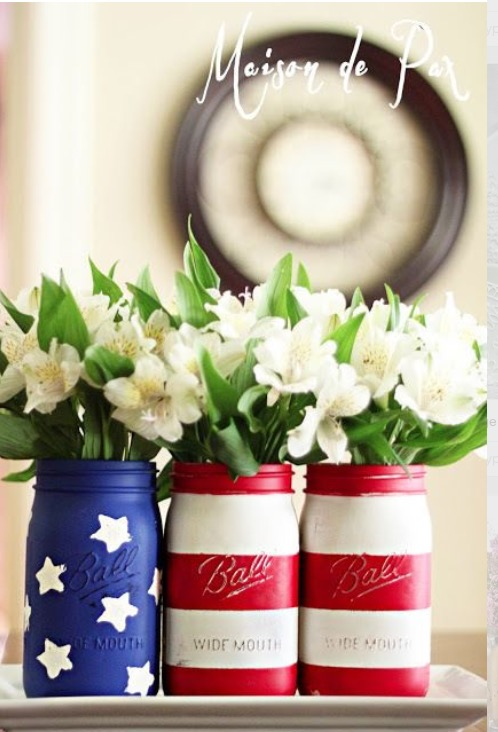 This month’s craft will be a cute 4th of July table decoration. All you have to do is add your flowers of choice. Be sure to invite any friends, neighbors, relatives who you think might be interested in joining our wonderful garden club to come and participate! Barbara Kline Barbarellak@att.net and let her know if you will definitely attend and if you are bringing friends. This will ensure that there are materials for everyone. As in the past, it’s Pot Luck all the way on the food. Bring your best dish! Casserole, salad or dessert… Hey a bucket of fried chicken would be great!!! Barbara will provide plates, utensils, napkins and beverage. Don’t miss the opportunity to make something pretty with everyone!!! 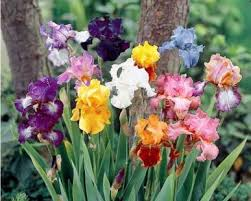 The next Sunnyvale Garden Club meeting is scheduled on Tuesday, May 12th, 10AM. The meeting will be held at the Sunnyvale Community Center, 417 E. Tripp Road. Sarah McReynolds, immediate past president of Texas Garden Clubs, will install the officers for 2015-2016. Program Speaker: Vicki Agee, Dallas County Master Gardener, is a clinical psychologist who retired to the Dallas area. Her garden is usually on tour in the spring for the Collin County Rose Society and will be an Open Garden during the American Hermerocallis (daylilies) Society’s Regional Convention in 2015. Sunnyvale Garden Club (SGC) will host a free floral design workshop on Saturday, May 9 at the Mesquite Christian Care Center (CCC) Greenway Center dining room. There are a few seats left, but they’re going fast. Please contact Rachel Doyle by May 6th to participate (214.675.5218). There is no charge for this workshop, but participants are asked to bring a bouquet of flowers from grocery story or Sam’s and some greenery from their yards..
Barbara Baker will be the instructor. Barbara is former President of Texas Garden Clubs, Inc. and is currently Director South Central Region of National Garden Clubs, Inc. She is a Master Flower Show Judge and a NGC Flower Show Schools Instructor — teaching members how to become Flower Show Judges. Almost every year she travels to England studying landscape design and offers her own garden for garden club tours. Barbara will demonstrate how to make floral designs using three different containers supplied by SGC. She will demonstrate at least two designs per container. Participants will learn how to make Floral Designs – not just “flower arrangements” – using flowers that can typically be purchased as a “bouquet” at a grocery store or Sam’s. Before lunch, workshop participants will be shown the space where their designs will be displayed at CCC – in public places or in residents’ rooms. The participant will design her floral arrangement to fit the designated space. Lunch will be served in the CCC Greenway dining room. There will be a small fee ($8.75 for all you can eat) for each participant who eats there. If a participant does not wish to purchase the meal, she can bring a brown bag lunch. After lunch, each SGC member and guest will create two floral designs. One design is for the member to take home (if she wishes) to enjoy for Mother’s Day and the other design is to be installed at the designated CCC space and left there. CCC residents will create only one design, with flowers provided by SGC. The floral designs will be on display “to the public” from 2 to 4 p.m., and they will be “judged” at that time. We have asked flower show judges to review each design and provide helpful comments. This will not be a competition and there will be no ribbons awarded. However, this will be a good learning experience and the critiques will be helpful. The focus will be on designing unique arrangements for our own homes and/or for friends. Participants are asked to bring at least one “grocery store bouquet” of flowers. They are also asked to bring greenery from their yards and/or shrubs (e.g. boxwood, holly, ligustrum, pittosporum, cast iron plant, peace lily plant, hosta leaves, palm, monsteria or Japanese aralia, magnolia leaves, ivy, evergreens, etc.) to share with the group. If trimming shrubs or trees, try to bring some long stems – at least 30,” for the tall arrangements. Participants should also bring their own cutting shears or clippers (please label them with names, so they don’t get mixed up or lost).